Manchester City and Manchester United will face off in the Manchester Derby tonight, with both clubs desperate to secure a place in next season's Champions League. The two Manchester giants sit fourth and fifth respectively, with many people considering their seasons as underachievement and failures. Nonetheless, one thing is for certain, and that is both sides possess an array of talented players with potential that knows no bounds. Enormous transfer fees have been spent by both sides to rope in some of the world's best attacking and defensive talents, but just what exactly would be deemed the best starting eleven from both squads? Each team has a number of weaknesses but an abundance of strengths, so it's time to piece together a combined Manchester XI made of players from the two teams. Do you agree with the selections made? 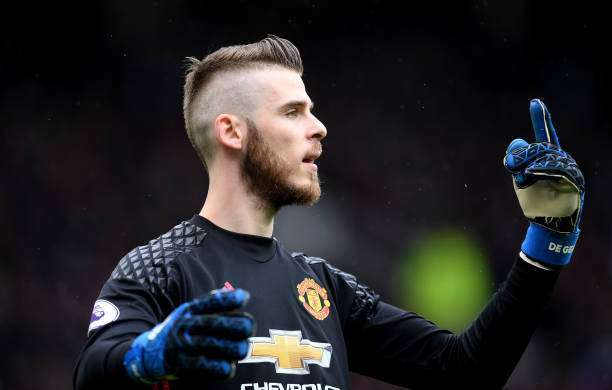 Spanish international David de Gea was the overwhelming choice for the goalkeeping position with both Claudio Bravo and Willy Caballero some distance off the Spaniard's world-class levels. The United shot-stopper has claimed more than 96% of his crosses he's attempted to come for as opposed to Claudio Bravo's pitiful 86% with 46% of them resulting in him punching the ball instead of catching the ball. De Gea has also kept 13 clean sheets in 31 games with Bravo claiming just 5 in 21 games - conceding on average more than a goal per game. De Gea overcomes Bravo having averaged more than two saves per game resulting in him being the unanimous choice in goal.